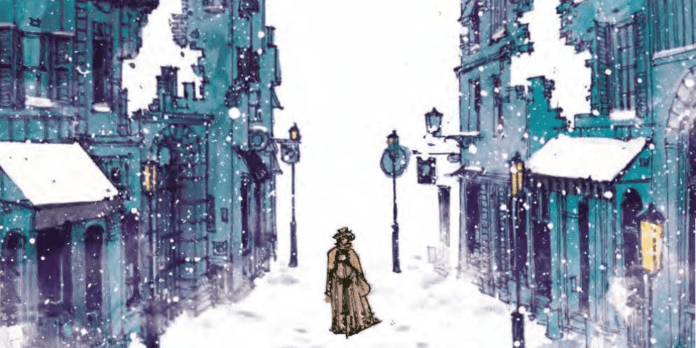 Mary Shelley: Monster Hunter #1 is a slow burning introduction. It doesn't thrust the reader into the action, but offers some promise at the end of the issue. Like Mary Shelley, many real people have been featured in works of historical fiction, taking these historical figures on supernatural adventures that were never documented in the public record. The most notable is the 2011 novel (and its 2012 film adaptation) Abraham Lincoln: Vampire Hunter. Other noteworthy individuals have similar “untold stories,” such as Edgar Allan Poe, William Shakespeare, Queen Victoria, and even Lizzie Borden. 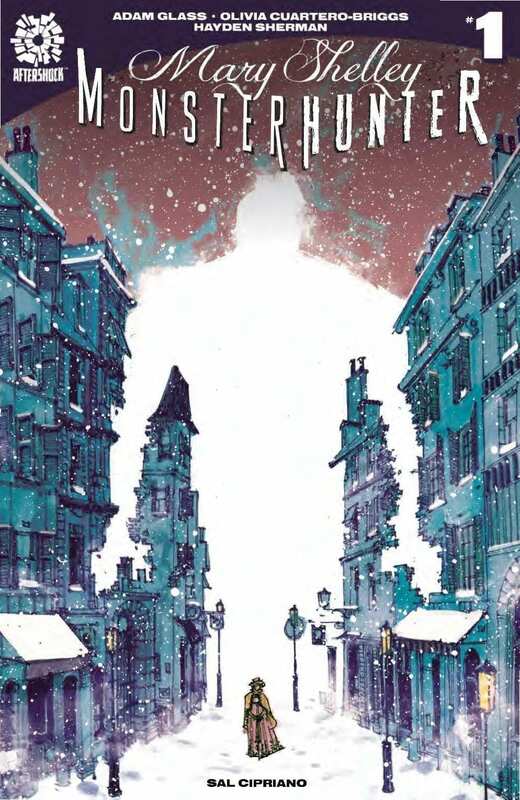 Mary Shelley: Monster Hunter #1, from AfterShock Comics, is the latest tale to fit nicely into this sub-subgenre. However, not only does the book divulge the secret life of the infamous horror writer, it puts a new spin on Shelley’s own masterpiece, Frankenstein; or, The Modern Prometheus. Though the title would suggest otherwise, readers will not find any monster hunting in this first issue. Instead, scribes Adam Glass and Olivia Cuartero-Briggs opt for a slow burning introduction to the setting and characters. Kudos must be given to the writers for using Victorian era English in Mary Shelley: Monster Hunter’s captions and dialogue. However, their decision to include two prologues felt unnecessary. Particularly in the second, with a tour in the final home of Mary Shelley. The missing manuscript found mere moments after the guide spoke about it feels forced. Furthermore, it seems unlikely that the story will ever return to that time, as it doesn’t seem relevant to the overall tale. The readers would have come to the understanding that they are reading an unaccounted for part of Shelley’s life on their own. Artist Hayden Sherman illustrates a chilling world that is bleak and minimal. The architecture is narrow and angular, with rough and jagged lines. All these elements work together to craft this air of dread and chaos while flipping through the pages. The colors are splotchy, like oil paints that poured out of its container and onto the page. Hayden also only uses shades of red and blue, minimal coloring, to round out the book’s otherworldly atmosphere. Overall, the team behind Mary Shelley: Monster Hunter #1 have crafted a satisfactory setup for their horror adventure. Readers won’t find any actual monsters until the final pages. However, it is still intriguing enough to see what happens now that Mary has met her mysterious host. Which historical figure could you see as a monster hunter, like Mary Shelley? Let us know in the comments!